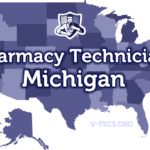 As of December 22,2014, Michigan’s pharmacy technicians cannot practice without a license from the state’s Board of Pharmacy. The new requirement, passed in Public Act 285, serves to protect patient safety, regulate the handling of controlled substances and help pharmacists concentrate on quality patient care. Prior to the passage of this Act, pharmacy technicians did not need a license to perform the duties that are essential to this profession. Since the Act took effect in December, it is the pharmacy owner’s and pharmacist’s responsibility to ensure present and future pharmacy technicians in their employ comply with all the terms of the Act. Apart from setting forth new requirements for pharmacy technicians’ licensure, the Act also enumerates specific responsibilities that classify individuals as pharmacy technicians. These responsibilities include compounding drugs, dispensing medication, preparing or mixing intravenous drugs, transfer of prescriptions and receiving verbal orders for prescription drugs. Pharmacists must understand the new role and function of pharmacy technicians and ensure that general employees (under the unregulated status) obtain state licensure before performing pharmacy technician duties. Effective December 2014, all pharmacy technicians must obtain a license with the State Board of Pharmacy to practice. General employees, under the previous unregulated status, should obtain a full or limited license in order to maintain employment. Although the Act took effect in December, the Board of Pharmacy gives current and prospective pharmacy technicians a grace period of 6 months to secure their state licensure. The grace period expires on June 30, 2015. Under the Act, general employments currently functioning as pharmacy technicians could apply for a limited license, which remains valid if the employees remains employed with same pharmacy. The employer will need to complete the Verification of Employment page on the application packet. The limited license is no longer valid if the employee stops working or begin employment at another pharmacy. For full licensure, state pharmacy technicians must submit proof of certification from the PTCB or NHA. The Board will only accept scores directly from the certifying Board as evidence of national certification. Candidates who plan to work while preparing for national certification can apply for a temporary license. The license is valid for 210 days and is non-renewable. Under the new Act, pharmacy technician candidates in Michigan must be at least 18 years to register with the Board. The Board requires proof of high school completion for state registration. There are currently no specific educational requirements beyond that of a high school education. Your high school or GED testing company must provide a copy of your transcripts directly to the Board – they will not accept copies of your personal documents. Request a copy of your high school transcript and have the school send it directly to the Board. If you completed your GED, ask the company to send verification of your scores directly to the Board. State of Michigan graduates can use the e-transcript service to send details directly to the Board via electronic transmission. If you’re applying for a full license using your PTCB or NHA certification, you won’t need to submit proof of high school graduation. The Board requires all applicants for state licensure to undergo a Criminal Background Check. The CBC must be completed through an authorized agency, who will send the results directly to the Board. The application packet contains forms and detailed instructions for the CBC and fingerprinting process. Applicants consenting to an investigation of their criminal conviction history also permit law enforcement officials and the judicial organization to release the information to the licensing agency. Disclosure of prior convictions or felony could affect your ability to register with the Board. It will also delay the processing of your application as the Health Professions Licensing Division reviews your application. The final decision is based on the conviction, time elapsed and your age at the time of the charge. Applicants for full licensure will need to submit proof of national certification through the PTCB or NHA along with the completed application. Accredited pharmacy technician classes take students through a career-focused curriculum that helps them acquire the knowledge, skills and confidence to assist pharmacists with dispensing operations, prescription preparation and administration at retail, hospital and mail-order pharmacies. In the classroom, students learn basic terms for medical conditions and prescription drugs to help them read prescriptions and patient records. They’ll understand the common classes of drugs and their interactions with the human body. Pharmaceutical calculations prepare students for the responsibility of calculating dosages. Students also learn about the important laws and regulations that govern pharmacy practice. Communication and administrative procedures are also critical topics in pharmacy technician training programs. Most programs also include an externship component that gives students a chance to gain hands-on experience to succeed on the job. Currently, Michigan does not require pharmacy technicians to enroll in a formal training program as a requirement for licensure. However, the knowledge and skills imparted through accredited programs can help graduates succeed with the PTCB exam and give them a leg-up over other pharmacy technicians on the job market. The classroom and clinical components of pharmacy technician classes depends largely on the training provider, especially as there are no specific requirements outlined by state agencies. The program duration ranges from 6 weeks to 8 months, depending on the class schedule. Tuition is approximate $2,500 not including mandatory expenses, such a criminal background check, textbooks, workbook, course materials, liability insurance, uniform, registration fees and PTCB certification. Financial aid may be available to help cover the cost of tuition. Pharmacy technician certifying exams evaluate a candidate’s knowledge and skills related to the tasks they must perform in a pharmacy setting. Michigan’s new laws require pharmacy technicians to acquire certification to register with the Board and work in a health care setting. The Board acknowledges both certifying exams; the Pharmacy Technician Certification Exam (PTCE) and the ExCPT exam. Successful candidates can use the title of Certified Pharmacy Technician (CPhT). The Exam for the Certification of Pharmacy Technicians (ExCPT) is a certifying exam developed by the National Health Career Association (NHA). The Institute for the Certification of Pharmacy Technicians administers the exam and manages the scoring and certification of technicians. In order to take the computer-based exam, you must be at least 18 years old and possess a high school diploma or GED. The exam comprises of 110 multiple-choice questions, which candidates must complete in two hours. The questions cover three general areas; dispensing medications, pharmacy regulations and technician duties, and brand name and generic products. The cost of taking the ExCPT certification exam is $105. The PTCB oversees the administration of the PTCE, which is the older and more recognized of the two certifying exams. Pearson VUE administers the computer-based exam at testing centers around the nation, including several testing centers in Michigan. Candidates applying for the PTCE exam must possess a high school diploma or GED and pass a criminal background check. The two-hour exam contains 90 questions – 80 out of 90 questions count towards the final score. The cost of the exam is $129. There are three routes to licensure in Michigan. All applicants must undergo a criminal background check and provide proof of high school graduation with their applications. This license is applicable to pharmacy technicians with the CPhT designation through the PTCB or NHA. Contact the certifying agency (PTCB or NHA) and ask them to send your passing scores directly to the Michigan Board of Pharmacy. Include a copy of your ID and social security card with the completed application. Enclose the application fee of $55 via check or money order. Make checks payable to the State of Michigan. Complete the Livescan Fingerprint Request form and take it to your scheduled appointment with Identogo or other approved agency. The CBC fee is $65. Applicants with PTCB or NHA certification do not need to provide high school transcripts. This license is applicable to candidates who can document at least 1,000 hours of employment over a two-year period before the application date. The limited license lets current pharmacy technicians continue employment as pharmacy technicians. The license becomes invalid when the technician changes jobs or stops working. Complete Section I of the Verification of Employment on the application form and have your employer complete Section II and send directly to the Board. Request your high school transcripts to be sent directly to the Board. Complete the Livescan Fingerprint Request Form to complete a criminal background check. Enclose the application fee of $10 via check or money order. Enclose a copy of your ID and social security card. A completed application for registration form. The application fee of $15 using a check or money order. 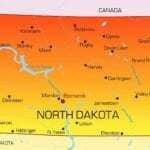 Copy of your state ID and social security card. Your high school transcripts or GED sent directly from the issuing organization. The Board processes applications in order or receipt. They will not accept faxed documents, so ensure all parties send documents via mail. The Board will send a letter confirming your request and your Customer Number within 7 days of receiving your application. You can use your Customer Number to check your application status online. The initial license is a partial license that will expire on the June 30 renewal date. Subsequent licenses will remain valid for a two-year period. The Board will mail a renewal reminder 6 to 8 weeks before your license expires. The notice will contain details for renewing your application online along with the applicable fees for renewal. After the first renewal, pharmacy technicians will need to submit proof of at least 20 hours of Board-approved continuing pharmacy education units within the 2-year period. Make sure to inform the Board when your name or address changes to receive notifications about the status of your license. 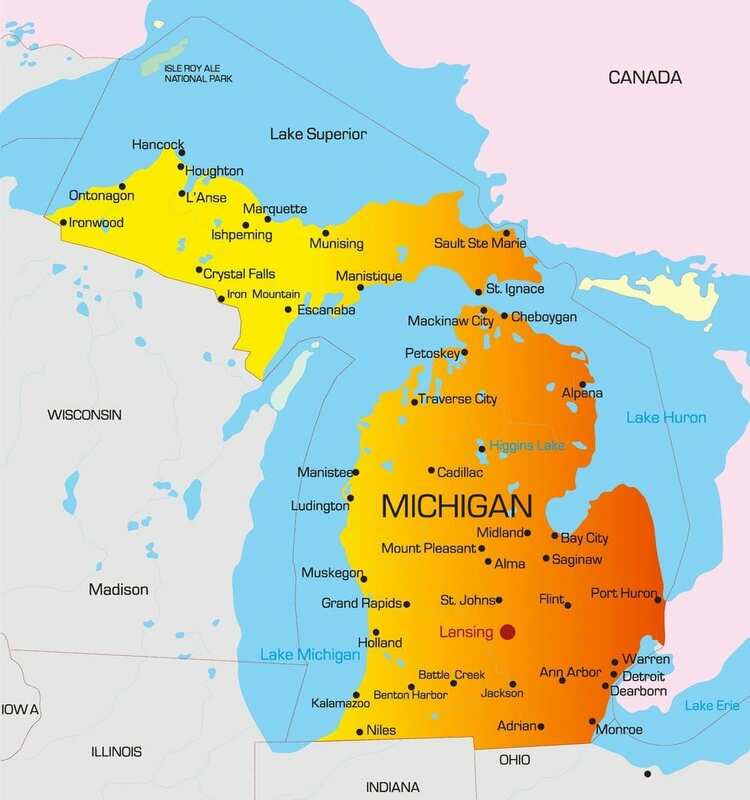 Michigan does not have a reciprocity agreement with other states. Pharmacy technicians who are registered in other states can apply for registration with the Board of Pharmacy providing they meet the requirements for registration. Any verification of your license or registration from another state must come directly from the licensing agency. The Board will not accept copies of your license.